The Institution of Analysts and Programmers is one of the HMRC approved professional bodies, therefore, if you are a UK tax payer and pay your own membership or journal subscription fees, you may be entitled to claim tax back on your membership or journal subscription fee. 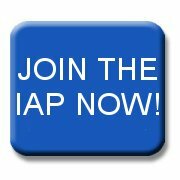 If joining the IAP is necessary to carry out your work or is relevant to your job, members employed in the UK may claim tax relief on their subscription fee. Lower rate taxpayers can claim 20% of their membership fee. Higher rate taxpayers can claim 40% of their membership fee. In order to claim tax relief, you will need to use the receipt (or request one) for your membership or journal subscription payment, which you can then submit to the tax office with your tax return form. Please quote The Institution of Analysts and Programmers. If you don’t complete a tax return, you can make a claim by writing or phoning your local tax office (your employer will be able to give you the address and reference). For full details visit www.hmrc.gov.uk/incometax/how-to-get.htm you can find us by looking for Analysts and Programmers, Institution of. You can call the office or log in to the Member Area and click ’Your Receipts’. For more information about tax relief for professional fees and subscriptions, visit http://www.hmrc.gov.uk/incometax/relief-subs.htm.